Like a timeshare holiday home, Kunsthal Aarhus will host five international art institutions in the spring of 2017. 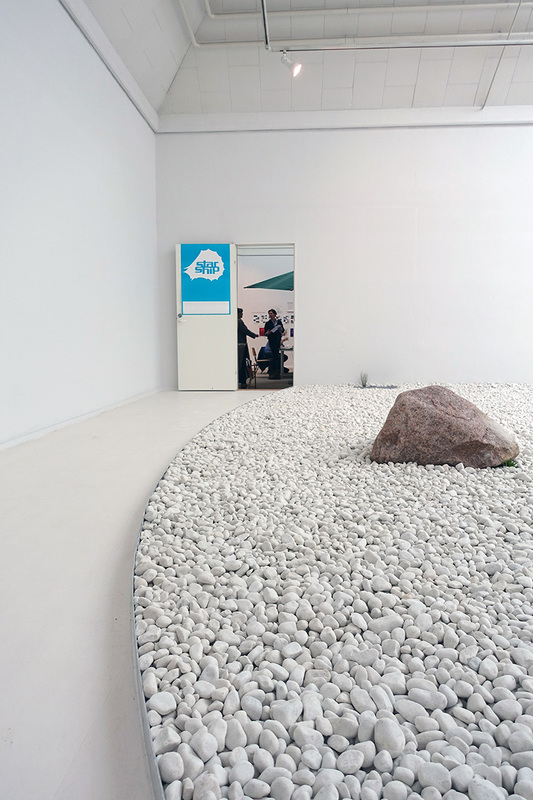 Each taking turn, they will present weeklong curatorial and editorial projects in the kunsthal’s octagonal exhibition space, for example in the form of talks, performances, screenings, displays, installations or editorial meetings. Following these five visits, the institutions will produce individual publications, which constitute the project’s second timesharing format. By transporting the reader back to recent, distant or virtual pasts – or into the future, a publication effectively serves as a time machine that grants us access to other moments in time. In 2017 Kunsthal Aarhus celebrates its 100th anniversary. As a kunsthal in the original sense of the term, Kunsthal Aarhus does not have a collection where we can consult and negotiate this century of exhibition making. The Timeshare Project in turn substitutes recollection with timesharing as a collective, border-crossing contemporary practice. The REAL DMZ PROJECT is a contemporary art project based on research conducted on the DMZ (Demilitarized Zone) in South Korea and its border areas. Presenting a one-week exhibition, a series of screenings and a program of talks at Kunsthal Aarhus, the REAL DMZ PROJECT will not only introduce artistic, curatorial and academic ruminations on the DMZ, but also open up the question of borders and migration in a European context. Berlin-based art magazine Starship gravitates toward the German Zeitschrift, wherein the word Zeit (time) hints to the fact that it speaks out of and about a certain time, namely the one in which it is made. Multi-vocal and multi-perspective, the upcoming issue of Starship Magazine will be loosely organized around a certain anti-social turn in gay and lesbian studies, and also around the model function it may have for many other antis and socials. Starship Magazine’s publishers will convene at Kunsthal Aarhus for a weeklong, public editorial meeting to finalize the 16th issue of the magazine. SALT, a cultural institution in Istanbul and Ankara, will revisit three public art projects, My City, Park: a possibility and Cultural Agencies: Gülsuyu-Gülensu, which took place in 2010 when Istanbul was the Cultural Capital of Europe. Each project took a distinct approach, and together could be regarded as the consummation of intense discussions of the preceding years regarding public space, art in the street, socially engaged projects, gentrification, spectacle and things erased from public view. Public Spaces and Cultural Capitals will map, reframe and discuss these public art projects in dialogue with Aarhus-based interlocutors. Anywhere Out Of The Book is an editorial and curatorial project by Marseille-based project space Rond-Point Projects intended to explore the subversive and inquisitorial potentials of art, fiction and poetry. A group of international artists and writers will produce a collective publication using “grassroots printing methods”. Their working sessions in Aarhus and in Marseille will include moments of public presentation and events in which a wider audience is invited to participate in creating the world beyond the book. Eastside Projects is an artist-run multiverse based in a free public gallery in Birmingham exploring and demonstrating ways in which art may be useful as part of society. 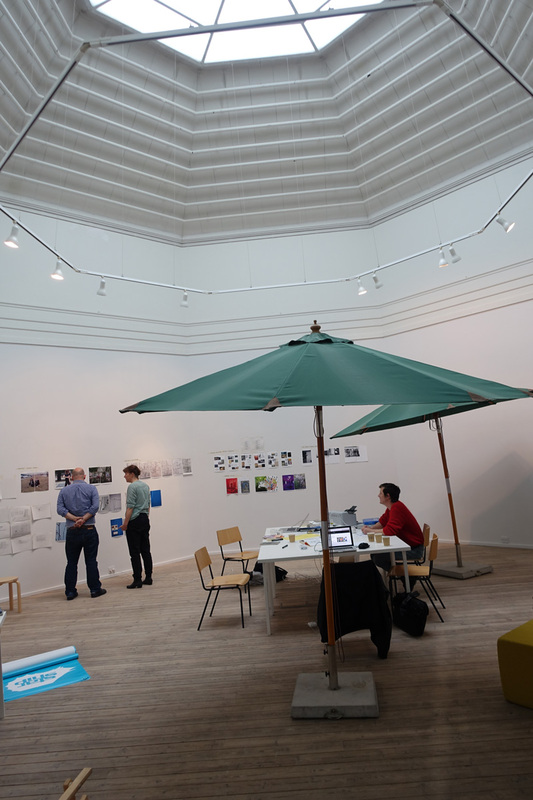 To this end, the organisation creates user’s manuals as public information for how to use Eastside Projects and how Eastside Projects uses the world. In addition to a series of events, the Eastside Projects team will develop and produce a new set of user’s manuals around policy, production, and housing while they temporarily inhabit a gallery space at Kunsthal Aarhus. The Timeshare Project is curated by Trine Friis Sørensen, who holds a postdoc position between Kunsthal Aarhus and Aarhus University in 2016-2019, funded by the New Carlsberg Foundation.